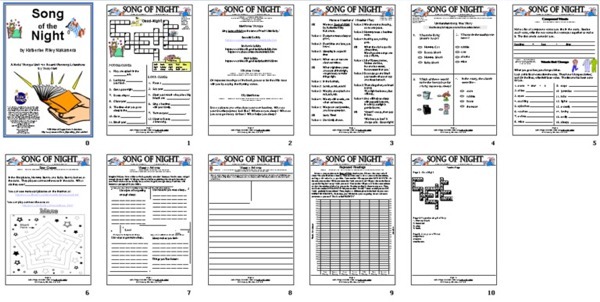 You can purchase the Kids' Wings 12-page literature guide for Mommy's Best Kisses, the 16-page guide for Nightsong, and the 9-page guide for Song of the Night. 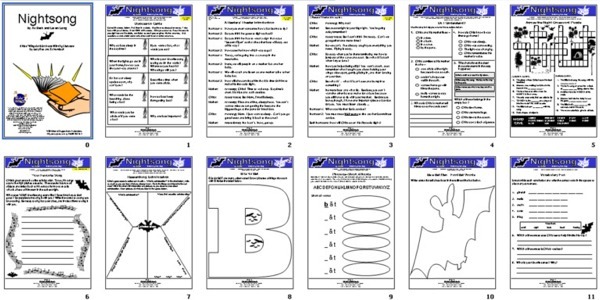 Download all 37 pages of activities for only $12.95! Sharable within your school! Click here to purchase and download. Animal mommies kiss their babies goodnight just like human mommies. With its gentle illustrations, this is a sweet bedtime book for mommies and children. 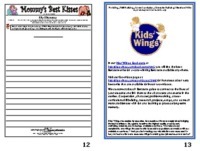 The Kids Wings unit invites your kids to color the animal mothers and their babies, add habitat background, and insert a food they would like to eat. Included are suggestions for acting out Patricia Cunningham’s "Be the Words" from outstanding book, Phonics They Use: Words for Reading and Writing. A Kids Wings Unit for Mommy's Best Kisses is part of a collection of 40 units in Book Bridges.